GLAMBO: Spa Day! and a Discount! Spa Day! and a Discount! I was scrolling through my email this morning and saw a 50% off coupon code for spa services from Groupon. This is GREAT way to get pampered and discover new treatments without breaking the bank. 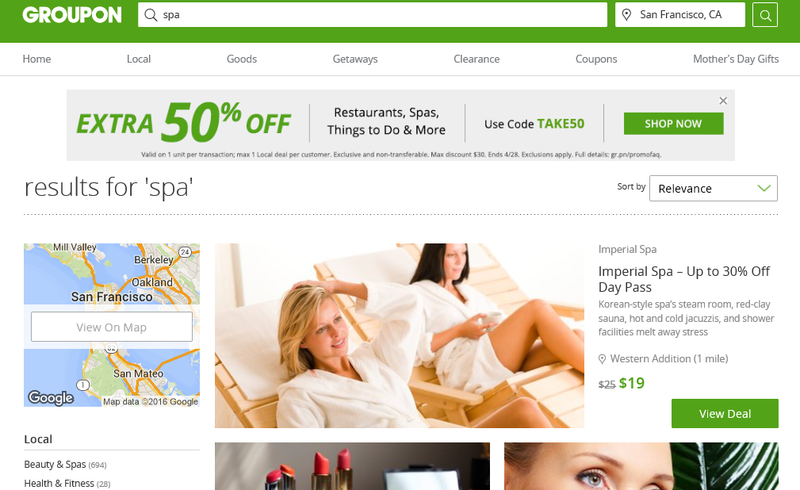 Use Ebates to visit Groupon's website, and get cash back in the form of a quarterly rebate check! If you don't have an Ebates account, we have you covered there too. The link is at the top right of our blog and here. You can select a gift card as a reward for signing up. Yeah! Sign up, get your discounted services, and say ahhhh.... Time to relax at the spa. 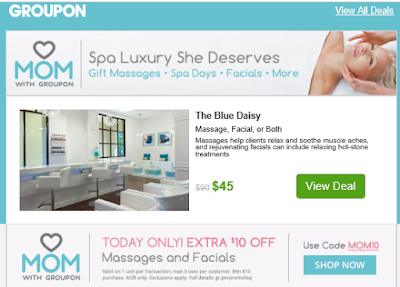 Update: Here's an extra coupon code for $10 off a massage or facial. Find a provider in your area, and let the pampering begin. 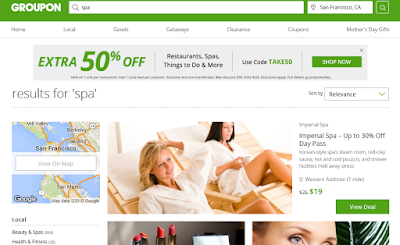 We Love Ebates for Cashback on Beauty Finds! SIGN UP NOW, and Select a $10 Gift Card to Receive. All Content Copyrighted GLAMBO, LLC.. Awesome Inc. theme. Powered by Blogger.